Stop by our dealership and discover our great offers at Heuvelmans Chevrolet Cadillac LTD. Check out this amazing used Chevrolet Cruze 2014 near Chatham. Inspected and certified by our experienced technicians, the Gray model has logged 70582 km. 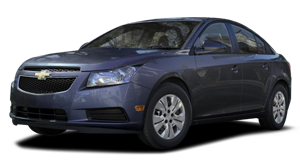 You can buy this pre-owned Chevrolet Cruze 2014 at a great price of $12488. It's a Sedan with 4 doors, Automatic transmission and Front wheel drive. The exterior is Gray, while the interior is Black and seats 5 passengers. 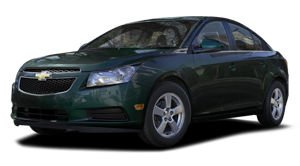 If you'd like to learn more about this used Chevrolet Cruze 2014 for sale in Chatham, don't hesitate to contact us by phone at 519 352-9200 or on our web site at http://www.heuvelmanschev.gmcanada.com. Visit Heuvelmans Chevrolet Buick GMC Cadillac at for a great deal and a great selection of new and pre-owned vehicles. We are SW OntarioGÇÖs Silverado and Sierra Destination!! All of our premium Certified Pre-owned vehicles include a complimentary CarProof report showing the vehicle history and we go through a riqorous 150+ point inspection completed by our factory trained technicians. Shop with a pre-approval in handGÇªour large roster of lenders means we can obtain approvals for all credit situations with pre-owned rates as low as 0.9% OAC. Apply online at to obtain your approval. Included with every Certified Pre-Owned Vehicle: Inspected and Reconditioned to General Motors Standards: Manufacturers Backed Warranty: 24-Hour Roadside Assistance: One-Time 30-day/2,500km Exchange Privilege: Eligible students receive a $500 discount/credit towards the purchase of a GM Certified Pre-Owned vehicle: Prices are plus HST &amp; Licensing, NO HIDDEN FEES OR CHARGES We have many happy customers from: Windsor, Chatham, Blenheim, London, St Thomas, Ridgetown, Tilbury ,Wallaceburg Dresden, Thamesville, Lakeshore, Belle River, Essex, Amherstburg, Lasalle, Lakeshore, Kingsville, Leamington, Sarnia, Wheatley, Port Lambton, Petrolia, Dutton, Merlin, Lambton Shores, Strathroy, and beyond." Hello, I found this ad on Auto123.com. Could you please provide me with more information on the Chevrolet Cruze 2014. Thank you!